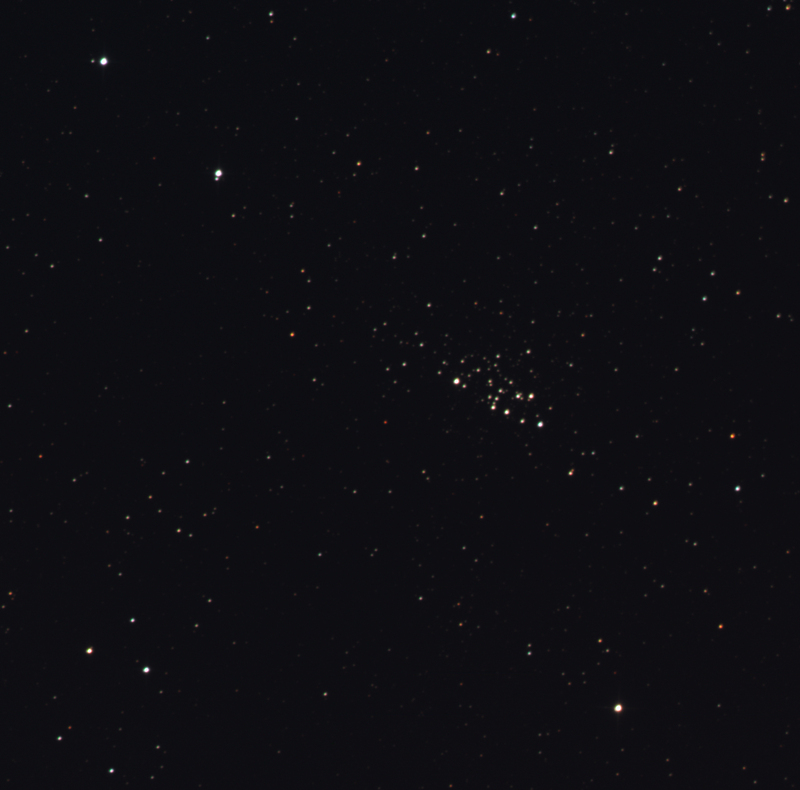 Processed the open cluster NGC 7510 in colour and was pleasantly surprised. 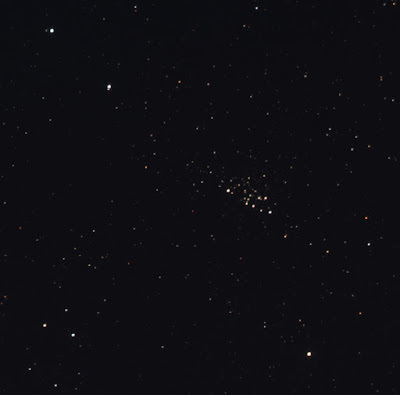 For some reason I expected the stars in the cluster to be young but it looks like they are old and wise. Yellow and orange, most. Couple of deep orange and red stars in the field. Used the data from 13 Sep. Luminance 30x10, RGB 30x5 each. FITS Liberator, Photoshop. The tight double, HD 240221, with bright primary and dim secondary, appear to be white and white.